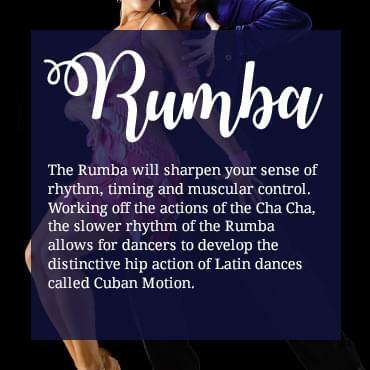 Merengue develops Cuban Motion and is the simplest dance to learn. Its simple timing makes it easy to feel the music. 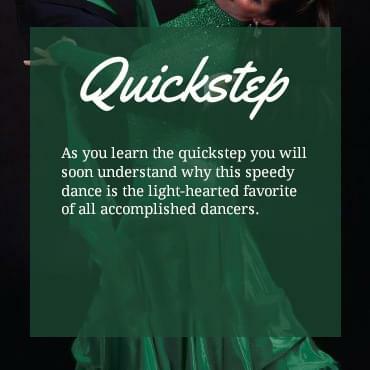 It is the only Latin dance that combines one-step timing with Cuban Motion and therefore is a help to all Latin dances. The march type beat sharpens timing & coordination and the proper use of the accent will develop a clearer interpretation of musical rhythm. 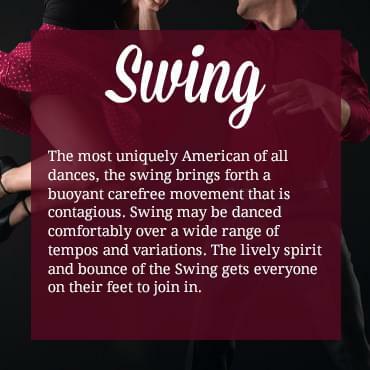 A stylized Swing dance popular west of the Mississippi from Kansas to California. 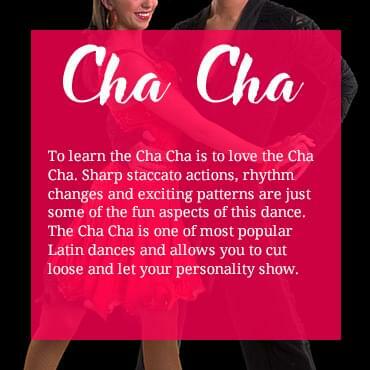 Danced to slow or medium tempo Swing or Disco music and characterized by slot movements, taps and shuffles, coaster steps, and push and pull action of the dancers. Bolero- Originally a Spanish dance in ¾ time, it was changed in Cuba into 2/4 time and then eventually into 4/4 time. It is now present as a very slow type of Rumba rhythm. 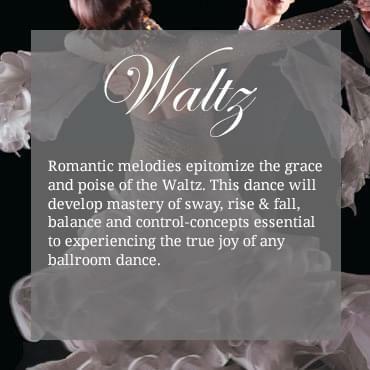 This dance is often said to have the rise and fall of Waltz, the contra-body motion of Tango, and the rhythm of Rumba. It is a favorite of dancers, as it incorporates many techniques similar to other dances to create a slow, sensual, romantic dance. Tango (for Argentine Style, please refer to “Specialty Dances”) – The Tango is one of the most beautiful of all the dances. 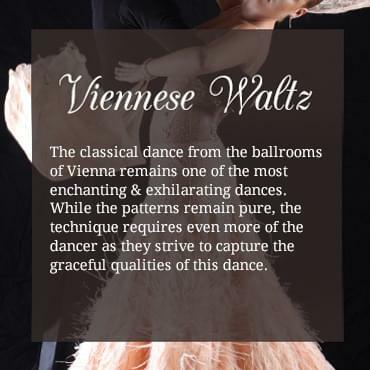 It is characterized by earthy and dramatic movements. 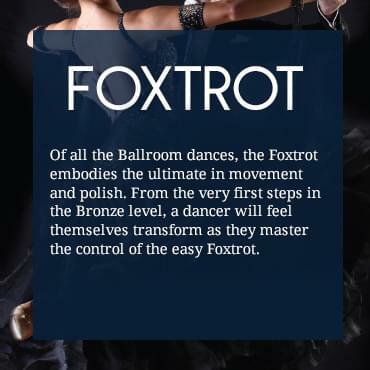 In order to achieve the distinctive style of Tango, it is important to develop controlled staccato footwork along with fluid graceful movements. The unique rhythm of the music is great training for timing and phrasing which develops as the dancer becomes more proficient. Tango practice is essential towards becoming a good dancer. 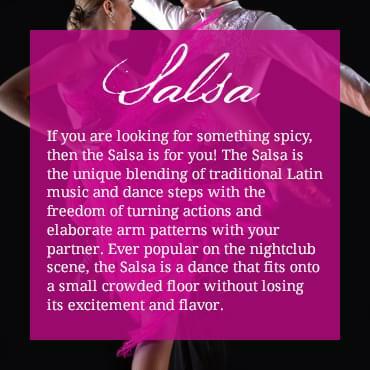 Progressive Two Step originated in the 1800′s by people who arrived here from Europe. It was an offspring of the minuet and they danced it as QQSS. In the old Western days when women were not allowed to dance with men, men danced together and that is the reason for the hand on the shoulder holding a can of beer and the other hand to the side. The only women who eventually danced with these men were Native American Squaws and that is where all the turns came about, because Native American women loved to spin. Two-step is a Western dance whose popularity has spread all over the United States.